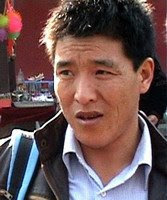 From October 2007 until March 2008, Dhondup Wangchen carried out a dangerous journey through the Eastern areas of Tibet.He wanted to record the views of ordinary Tibetans on the 2008 Olympic Games in China.Shortly after filming finished, Dhondup Wangchen and his helper were arrested. Film starts....DW talks to camera:I am not an educated man.I have never been to school. However, I would like to say a few things.What I would like to talk about comes from a discussion that a few of us had a few months ago.What we were discussing was that before the 2008 Olympic Games are going to be held in China we should gather informationabout whether Tibetans in Tibet agree with the Games and their views on them. Monk in a remote place: If the 2008 Olympic Games take place, then they should stand for freedom and peace. As a Tibetan, I have neither freedom nor peace. Therefore I don't want these Games. Young girl in blue coat: We have no independence or freedom so Tibetans have no reason to celebrate. The Chinese have independence and freedom so it's something that they can celebrate. Take me for example, I think the Olympics are important but I don't like them. Young man: I've heard that all the countries of the world are gathering there to take part in a peaceful event. However, Tibetans aren't allowed to attend. The Dalai Lama is famous all over the world for peace. I feel this and many others, too...it's difficult to put in words...I feel it is the wish of thousands of Tibetans that he can go to the Olympic Games. Old man: I really don't know what to make of these Olympic Games. It remains to be seen until August 2008. I feel very uncertain, as though I'm wandering in the dark and don't know where it's safe to step. I don't trust the Chinese at all. Not one bit. Man in the snow: I don't want these Games. Prices have risen because of these Games. We poor people don't even have enough money to buy food. Monk indoors: The situation is very dangerous. Actually we would be happy about the Games but much is being misrepresented. China was awarded the Games on the condition that the situation in China and Tibet would improve. They made many promises to the whole world to grant more freedoms, democracy and other basic rights. They were only awarded the Games because they made these promises. However, after they were awarded the Games, there has been no greater freedom or democracy and repression is getting stronger and stronger. DW talks to camera: The Chinese are saying that they have made so many improvements in Tibet. But we don't see any improvement at all. Tibetans are forcibly relocated. Nomads are not allowed to graze their cattles in the pastures. Are such tight controls an improvement? No! 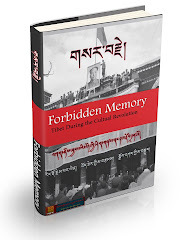 Under the pretext of setting up civilised cities, many Tibetans are forced to relocate. Such buildings look nice from the outside and outsiders may think that the Tibetans are treated very well and that they are happy. But the truth is that Tibetans are not free to speak of their suffering. Man sitting in the fields: The Chinese say that if Tibetans live high up in the mountains it's not convenient transport wise and makes life difficult and, for example, makes it hard for children to go to school. That's the kind of thing they say. That's what they say but it's really not right. The reason why they don't say the truth is because our land is very valuable and rich in natural resources. Because they want these resources, they use nice words and cheat us, like you'd cheat children, to make us move. Old man in red hat: These days they are dividing the land with fences all over the land and valleys. The animals aren't allowed to enter these areas for 5 to 10 years so have nowhere to graze. Instead, they pay out compensation to the farmers and nomads and it's considered illegal to refuse. The main aim is to gather the farmers in one place and fence them in. Fences are built and thorns are planted so that it's not possible for farmers to grow anything. If they succeed, they'll create an environment impossible for Tibetans to live in. Man with blurred face: The aim of our association is to preserve the Tibetan language and culture in our villages. We were so worried about losing our culture that we started this association. No matter how far or difficult the journey we travel around and educate the illiterate, we teach the Tibetan alphabet and encounter all kinds of difficulties on the way. Our motorbikes break down on the way but we don't let anything stop us, the main thing is that we work hard to educate ourselves. - You are so young and yet you have taken on all this responsibility and faced many obstacles. What motivates you? - The main reason is for all Tibetans to become like one family. It's important to educate illiterate people and teach Tibetans their own language. - Do you think the teachers and classes are good? - Yes, they are really good, that's why the children are learning so well. - Do any of your family members study here? - Yes, I have three children and they all come here. Seeing as I don't know how to read and write, I hope my children can learn those skills here. It's because I want them to learn these skills that I am happy for them to come here. Even though I'm afraid to stay at home on my own, it's worth it for their education. Young man dressed in black, outdoors: Our language is in danger. The reason for this is because Tibetans are a minority. For every Tibetan, there are ten to fifteen Chinese. The Chinese are everywhere in these Tibetan areas. Everywhere you look there are Chinese people and you hear Chinese everywhere. 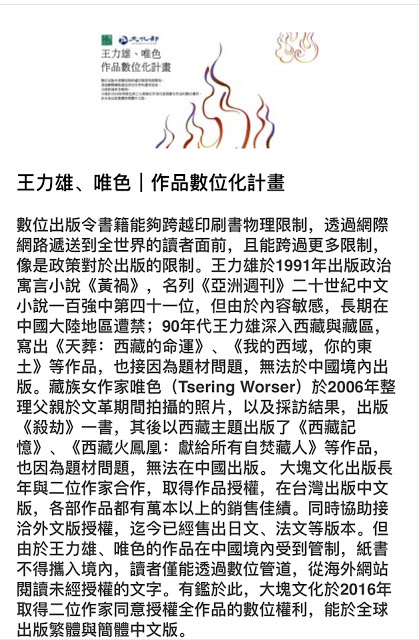 Chinese words are used when speaking Tibetan and Tibetan words are used when speaking Chinese. Tibetans are not a people without culture, we have a rich culture inherited from our ancestors. DW talks to camera: Nowadays, what China is saying is that they are preserving and improving Tibetan culture and language. That's what they are telling the world. Many organisations and offices have been set up for these things. What they say and what they do are totally different, opposites. If they really want to preserve and improve Tibetan culture and language, they should withdraw all the Chinese people living in Tibetan areas. Tibetan culture and language has to be practiced in all Tibetan areas. If it's not practiced, how can it be preserved? It can't. The situation in Tibet, instead of improving, is getting worse and worse every year. One of the main difficulties we faced in making this film was coming face to face with the people, not being able to guarantee their safety and to gain their consent. Some people were eager to work with us. Many said that if I succeeded in offering the film to His Holiness, then they wouldn't regret it, even if they had to die. They were willing to be filmed. I also asked clearly about filming and explained that they didn't have to show their faces. Some said that we absolutely had to show their faces, otherwise it wasn't worth speaking to them. Monk, indoors, wearing glasses: They say that there is freedom of religion. There is no freedom at all. The main reason is that theDalai Lama is not here. He's the most precious for all Tibetans. If he and the Panchen Lama were in Tibet, all beings would benefit. Never mind the Dalai Lama being allowed to return to Tibet, the local authorities and governors are being taken to China and are being told to publicly announce that they don't wish for the Dalai Lama's return. They are paid a lot of money in exchange. They have to guarantee their loyalty by signing a document with their fingerprints. They have to show how much they are against the Dalai Lama and this is the picture they want to paint to the world. Old man, crying: We are offering all our prayers to the Dalai Lama. We keep him in all our prayers. We may only be simple nomads but this is what we believe. Old man, sitting crossed legged and bent over:For the Dalai Lama to come back is my greatest wish and dream but it doesn't look like this will be realised. [Breaks down, bursts into tears] Dalai Lama, Dalai Lama, I pray to you. I only have to hear his name and I am filled with faith, devotion and deep deep sadness.The situation is hopeless. I feel exhausted. It's as though I were walking alone, with no destination, endlessly. Old lady with her hands together as though praying: I'm 60 years old and the chance to meet him just once before I die would be worth more to me than 100 horses and 1000 bulls. Old woman with white hair and laughing: If the Dalai Lama were to return, I'd be so happy I'd be prepared to jump into the river and die. Old man: Even if I had to sacrifice my life for this message to be seen by the Dalai Lama, I agree with and welcome this chance. Young nomad girls standing in the field, one is holding a child: We are just nomads who have never been to school. What we want to say is that we hope the Dalai Lama will come back to Tibet soon. Young man: We're not free to possess photos of the Dalai Lama so we have to hide them. [shows his hidden photos which are in a cupboard] If the government finds them they confiscate them. A while ago we were told that these kinds of photos were not allowed so we have to keep them secret. Otherwise they'll be taken away. DW talks into camera: It is important for Tibetans both inside and outside Tibet to think about getting Tibet back into our own hands. It can't be achieved by just one man. All of us should unite and pool our efforts together. That's very important. We are not asking for complete independence. The Middle Way approach, followed by His Holiness, is our main standpoint. When it comes down to it, it's important to follow this path. DW voiceover: We are close to finishing our project. Our footage is ready to be taken to China. Either tomorrow or the day after. My aim for this film is not to make a famous or particularly entertaining film. This film is about the plight of the Tibetan people - helpless and frustrated. Therefore I hope that everyone will pay special attention and support it. That's my biggest hope. 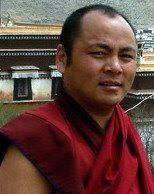 A few days after they had completed filming, Dhondup Wangchen and his helper were arrested.Tapes of all 108 interviews they conducted were sent to a safe place out of the country on March 10, 2008.On the same day historic mass Tibetan protests started across the Tibetan plateau.As of August 6th 2008, the eve of the Olympic Games, Dhondup Wangchen and his helper, Golog Jigme, are still in detention.